Amos Stanley Wynter Shackleford was born in the Maroon community of Charles Town, near Buff Bay, Portland, in 1887. His father, Edwin Shackleford, was a saddlemaker. He attended the local elementary school, where he impressed the teacher so much that, when the teacher moved to Manchester, young Amos went with him to continue his studies. In 1903 he got a job with the Government Railway, starting at 15 shillings a week. By 1912 he had worked as agent at various stations across the island and was earning 45 shillings a week. When jobs on the Nigerian Railway were advertised in Jamaica, he took the opportunity offered and left for West Africa in 1913. His interest in Nigeria certainly stemmed partly from his Maroon background, and partly from the influence of Marcus Garvey's early activities in Jamaica. 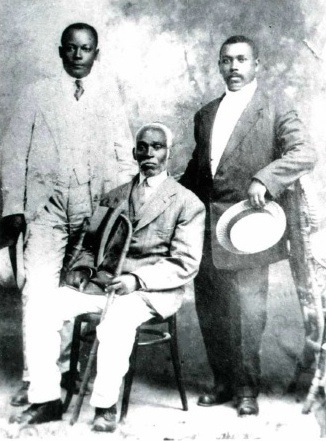 He returned briefly to Jamaica in 1917, at the end of his contract, when this photograph of him, with his father and one of his five brothers, was probably taken. His mother had died in 1914, and his father died in 1919, at the age of 73. He returned to Lagos early in 1918 as head clerk at the Nigerian-owned lumber company, S Thomas and Co. He had made contacts with members of the small West Indian community in Nigeria, especially the family of the Rev E. R. Ricketts, a Jamaican Baptist missionary who had died in 1908. Shackleford married Ricketts’ daughter, Catherine, in an African ceremony in 1921-2. The couple had six children, but three died in infancy; two sons later came to school in Jamaica. About that time Shackleford, with his wife’s help, went into business on his own, setting up a bakery on a small domestic scale. This business flourished, and Shackleford introduced new production and marketing methods. The business expanded into other Nigerian towns, and in the 1930s into the Gold Coast. He became known as the ‘Bread King’ and bread as ‘Shackleford’. He eventually sold out and retired in 1950. He was also involved in transport and gas retailing businesses, and the importation of Jamaican rum. He was an important pioneering industrialist and entrepreneur. He integrated himself into many aspects of Nigerian life. He was a member of Christ Church, Lagos, and an organist there. He played cricket and supported the Cricket Association. Most importantly he played a significant role in the Nigerian politics of his day. In 1920 he was founder and president of the UNIA branch in Lagos, but apparently concentrated on social programmes, not promoting Marcus Garvey’s programme for political independence. 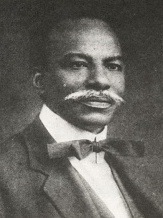 A little later, in 1923, he was a founding member of Herbert Macauley’s Nigerian National Democratic Party, and served on the Lagos Town Council from 1929 to 1938. From 1946 until his death he was president of the NNDP, which had, however, by then little political influence. He continued to give moral and financial support to Nigeria’s campaign for independence. Although so immersed in West African life, Amos Shackleford retained his links with Jamaica. In 1931 he brought his two sons to be educated in Jamaica, first at the Morris-Knibb Preparatory School and then at Kingston College. In January 1932, he married, in an Anglican church ceremony, Gwendolyn James, the sister of Dr Karl Wilson James and Mrs Leila James Tomlinson. When the couple visited Jamaica again in 1938-9 they were warmly welcomed and gave talks on Africa and displayed African artifacts for various groups. 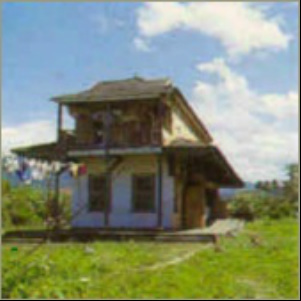 At some point, either then or after the Second World War, they purchased the house and property known as ‘Shalimar’ on the corner of Old Hope Road and Retreat Avenue; this was their Jamaican home well into the 1950s. 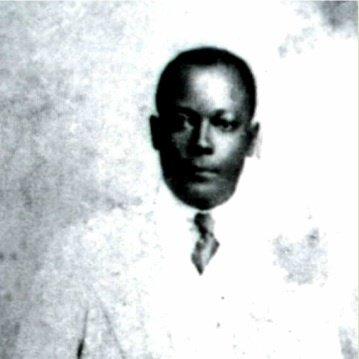 Amos Shackleford died in Accra, Gold Coast, on the last day of 1954. Tributes in the Lagos newspapers described him as a 'great man' whose 'name was closely linked with the political and economic progress of Nigeria'.